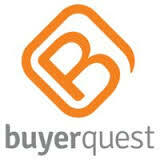 BuyerQuest delivers an unparalleled eCommerce experience to some of the world’s largest and most sophisticated procurement organizations. Our software streamlines and enhances the corporate buying process in order to increase user adoption, drive contract compliance, and save money. A P2P Solution that creates real value for an organization must provide the organization value in 3 key areas of Procurement: Search – Buy – Pay. Search – The buying process begins here. The interface and infrastructure driving the end-users buying process must be intuitive and promote high levels of adoption. Within the technology, the search process has to be simple contextual and provide relevant results to the user, making it easy to add the products to a cart and submit the requisition, without the need to punch out. Buy – The “Buy” process should seamlessly integrate the capabilities of enterprise Procurement with the simplicity of the B2C buying experience. This includes dynamic and complex approvals workflows that can be automated based on rules and thresholds. Pay – integrated with the search and pay, Invoicing, three-way matching, and settlement processes are streamlined, reducing the time and resources managing reconciliation exceptions.